When you think of building brand awareness, it’s common to think of the usual channels: content, social and advertising. But is that all you need to do to build a strong brand that connects and inspires action? Not exactly. We talked with a few experts from both sales and marketing to see if looking at the goal of building brand awareness from different angles helped stir up new ideas. It turns out that while sales leaders agree on the traditional avenues marketers use for brand building, there are a few other aspects of brand building that your sales team might be focused on. Consider this your list of marketing- and sales-friendly brand building tips that will help you bridge the gaps. You might think of your brand as a given, but it’s important to step through an honest evaluation of your brand statements every year to make sure they are still timely and relevant. How strong is your brand statement and messaging? Here are some questions to consider. If you were to share your unique brand statement with strangers, would they understand who your solutions are for as soon as they hear it? How confident are you that your brand statement is relevant to your target audience? Are you the only company that can claim your brand statement? If you asked your employees to state your unique brand statement, would you get the same outcome? Don’t underestimate the power of PR to bridge the gap between marketing and sales—it’s one channel that everyone can get excited about. While it’s true that to a certain extent more content is better than less content, there’s a point at which the quality of your content can tip the scales in your favor in terms of generating goodwill and visibility for your brand. Enter PR. PR is a tried and true workhorse for brands who want to make the biggest impact. Work strategically with your PR team and your PR firm to come up with some great storylines. So much can be done with great stories. With great stories, the success you create for your customers becomes the feature. The results you create for your customers in your day-to-day work become what you are known for. PR, unlike almost any other kinds of content, has the ability to garner attention and visibility for your brand outside of your industry or trade hubs. PR is the must-have tactic that can really get your brand out there. The ability for people to really relate to your brand will be impacted by how well they can relate to the stories you tell. To take your brand awareness to the next level, build on the story-telling PR angle and go one step further. Build scenarios that your target audience can relate to. While PR may report on use cases of existing customers or industries and how they are using your solutions, building use scenarios helps people envision something they didn’t know was possible. So, if your brand could be useful to a specific industry or type of business, demonstrate to new audiences how they can use and benefit from your solution. For even more impact, relate the story to an experience they’ve lived through, a challenge they’ve faced or a topic that’s top of mind. The more “in the moment” and relatable you can be, your use scenario will be quickly understood. Any time you can help people visualize themselves using and succeeding using your product or solution, you are going to make great strides in building brand awareness and more. So what about the sales side of the house? What activities are sales leaders thinking about and putting to use when it comes to building brand awareness? Brand awareness is no longer just a marketing thing! Here’s what our discussion uncovered. Certainly, content marketing gives you the opportunity to push your message out into the market in any way that you desire. But with the increasing interest in account-based marketing these days and BtoB buyers being more savvy and knowledgeable about solutions and options by the time they speak to sales, it’s more important than ever to have content mapped to your targeted audiences and on topics uniquely tailored to them. How well do you know the pain points and key “care-abouts” of each of your targeted audiences? Do you know where your greatest growth opportunities lie within your target audiences? Your sales team wants prospects that are highly targeted. Capture these attributes and focus your brand building efforts mostly there. When a sales team has the ability to tailor a conversation or to follow up on a marketing effort that’s highly targeted, the heightened brand awareness translates into deeper discussions sooner. 2) Orchestration of campaigns across verticals and solutions/products. If your business includes multiple lines of business as well as key verticals, the key to brand awareness across all of those segments boils down to excellent orchestration. While you may have the best individual tactics developed for different markets, verticals or solutions, the very best of awareness-building happens when it’s all brought together to work seamlessly throughout the marketing and sales operation. Sales teams are on the front lines helping customers make wise decisions for the state of business today. They are also advisors on the future—they want to represent that your business is prepared for the future. It’s imperative to invest in forward-looking research and spend time in communities that focus discussing the potential future disruptions in your marketplace, which can, in turn, affect your brand. By being a part of these forward-looking discussions taking place in the industry, sharing insights among thought-leaders, you are positioning your brand as one that is contributing to the solutions of the future. When your sales team knows your brand is working diligently to stay abreast of future disruptors, their confidence and success soar. 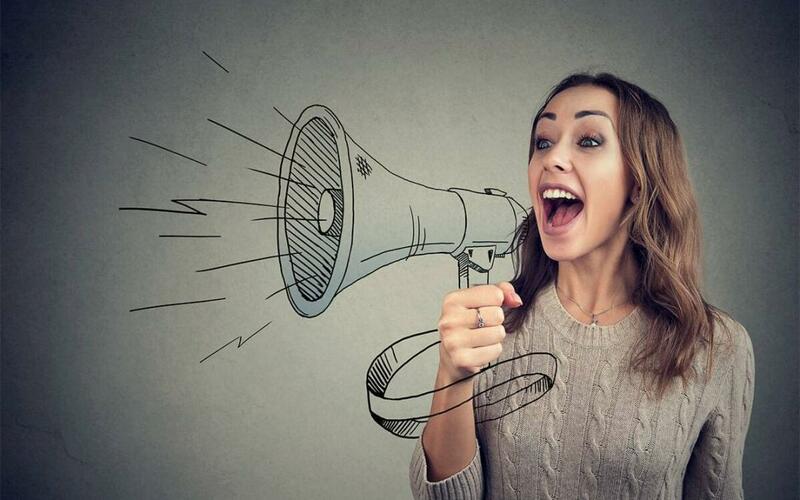 By taking action on these six best practices for building brand awareness, curated from both sales and marketing perspectives, you’ll be well on your way to a strong brand presence that connects, engages and converts.